Influential Burmese Theravada monk in vipassana style. Notable Western students: Jack Kornfield, Sharon Salzberg, Joseph Goldstein. The Progress of Insight can be found here. It outlines experiences meditators could be expected to have along the way — something the first wave of vipassana practitioners (read: notable Western students above) chose to leave out of their version of vipassana to the West, out of concern people would become fixated on their levels of progress, and engage in endless comparison. 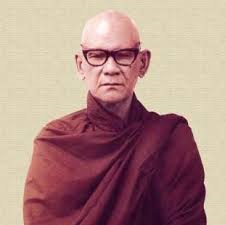 Piece at Buddhist Geeks: The Practical Dharma of Mahasi Sayadaw. which highlights one of the gulfs between Western and Eastern Vipassana practice, approach, outlook.